Setup includes everything you need to have a complete website. You provide us with images for your home page, about page and business information, we do the rest. 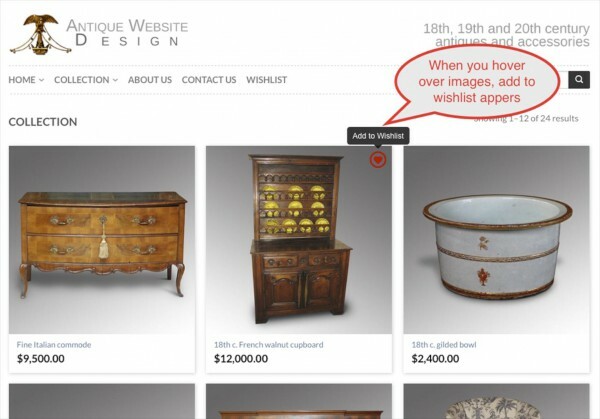 Your responsibility is adding inventory to your website. View a video and see how that’s done. Please call (703) 624-4738 with any questions you might have. Hosting & maintenace : starting at 30.00 per month ? Setup is the complete build of your website. You are billed for hosting/support yearly. The process begins on a development site. All pages are created and your navigation needs are built (about, contact and category menu). You are trained through phone, email and video in order to begin adding inventory to your website. When you are ready to go live you let us know. Hosting fees for Premier and Shop are billed quarterly. High quality hosting and services that cost less. Your website will be fast and maintained/updated by us. Our websites are fast and rate in the top 10 percent when it comes to speed. Although we think our servers and hosting are superior, you may choose an alternative. Godaddy is pretty good. By hosting with us, you are freed from any issues, and your website is always updated. By the way, our servers are faster, which means that your website is faster, if you are hosting with us! Support by phone, email and Video tutorials, we are committed to getting you up and running and staying that way. Sign up with MailChimp and let your visitors sign up on your website for newsletters. Select icons to be shown on share icons on your product page and blog page. 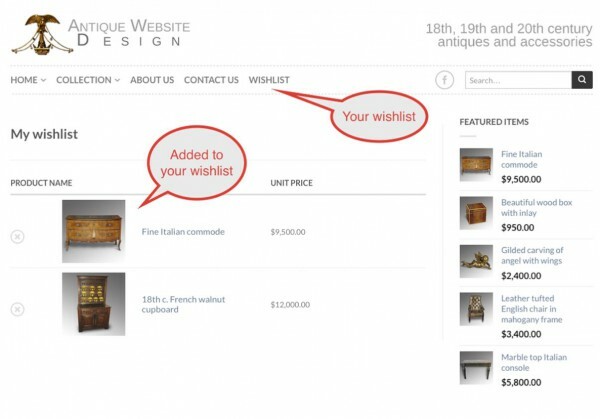 Wishlist is a way for visitors to your site to "save" items while they are browsing. There is a Wishlist tab that, when viewed will show the visitor what they have collected while browsing your website. This collection is only temporary and will clear itself periodically. You can also allow visitors to create accounts automatically. By doing this the wishlist is saved for them whenever they login. Logging in does not give visitors anything more than the saved wishlist. Allows you to add, edit and manage your inventory online with category specific navigation. Normally this would not even be mentioned except that there is an option now to have a single page website to present your business. The reason for this option is very low investment and no effort needed to maintain inventory. It's about getting on the web with all your business information, and having a nice design/presentation.